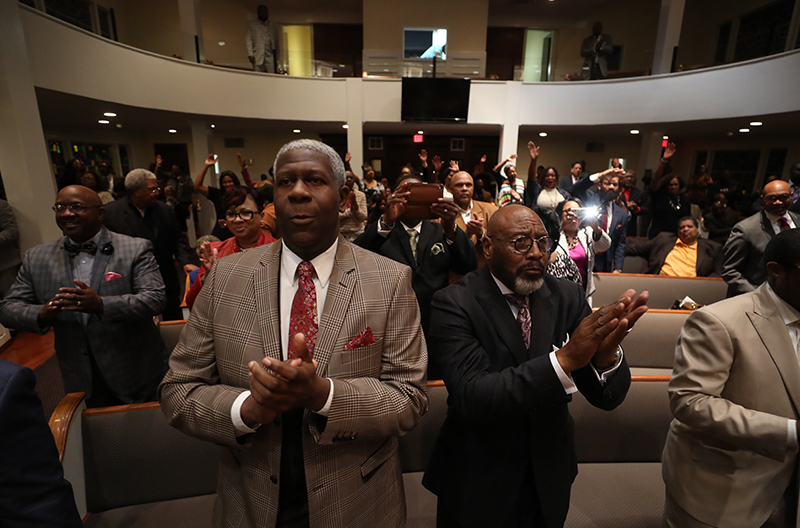 The 2017 Texas Baptists’ Annual Meeting began with an impassioned crowd Sunday night at the African American Fellowship Worship Rally. 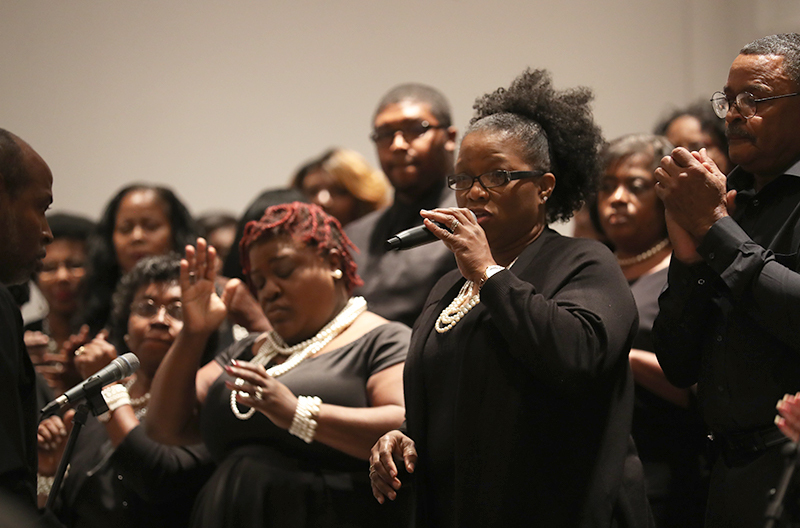 Toliver Chapel Missionary Baptist Church in Waco brimmed as members of different congregations came together to worship the Lord through song and teaching. 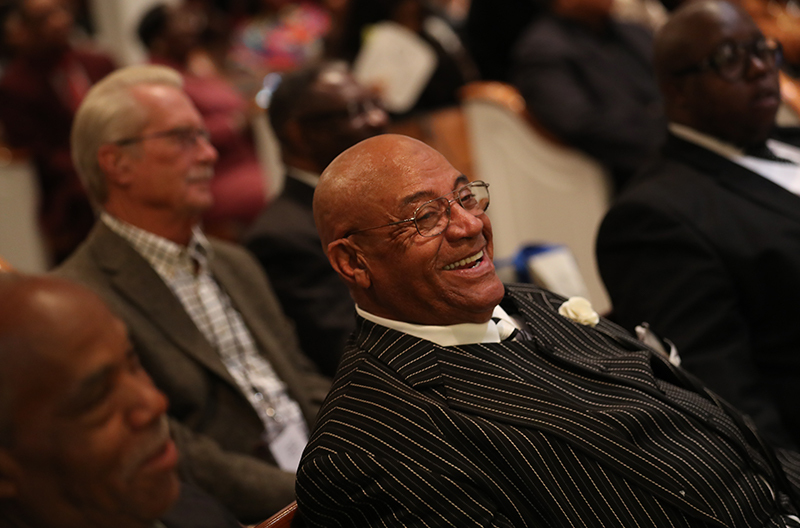 The night was filled with enthusiastic preaching and passionate praise. The praise team from Greater New Light Missionary Baptist Church of Waco began the night with worship. Dr. Jim Heiligman, 2nd vice president of Texas Baptists, and pastor of First Baptist Church, Bryan, brought greetings from Texas Baptists and shared, “I am convinced that if there ever was a time the Church needed to be the Church, it is today.” Worship concluded with the Waco Community Choir under the direction of Min. Thomas Brooks. Senior Pastor Rev. Samuel J. Doyle of Greater New Light preached from Revelation 3:14-22 and warned against “lukewarm” Christianity. He gave two examples of how the words from Jesus to the church at Laodicea could be understood given the cultural context within which scripture was written. The first was the illustration of the church being lukewarm related to wine. In the time this passage was written, Doyle explained, it was considered hospitable to give guests either chilled wine or warm wine. To give them lukewarm wine would be considered rude. In correlation to Jesus’ teaching, “the lukewarm church is an insult to Jesus,” said Doyle. Regardless of water or wine, Jesus’ reaction is the same, “I will spit you out of my mouth” (Revelation 3:16), concluded Doyle. Being lukewarm is disgusting to Jesus, he said, because it causes deception in one's life; the lukewarm person thinks they are rich when in reality they are poor. This is a dangerous place to be in, because it presents the opportunity for one to let their riches define them. 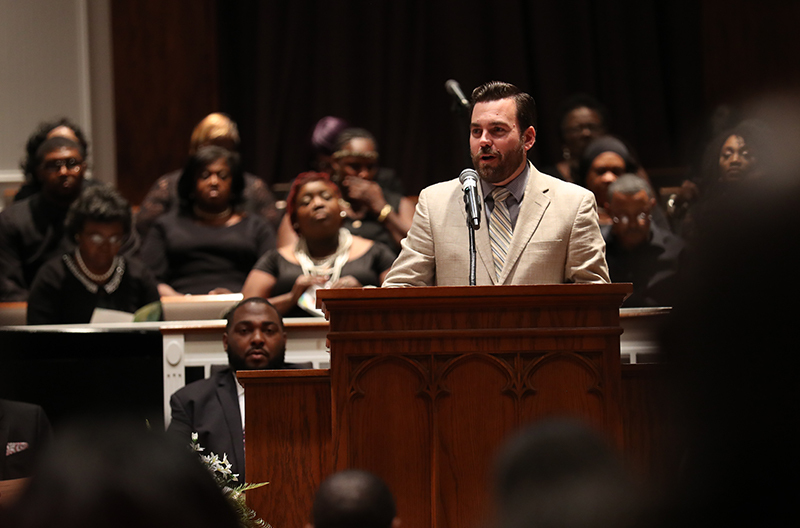 “You define a church not by what they do, but by who they belong to,” said Doyle. 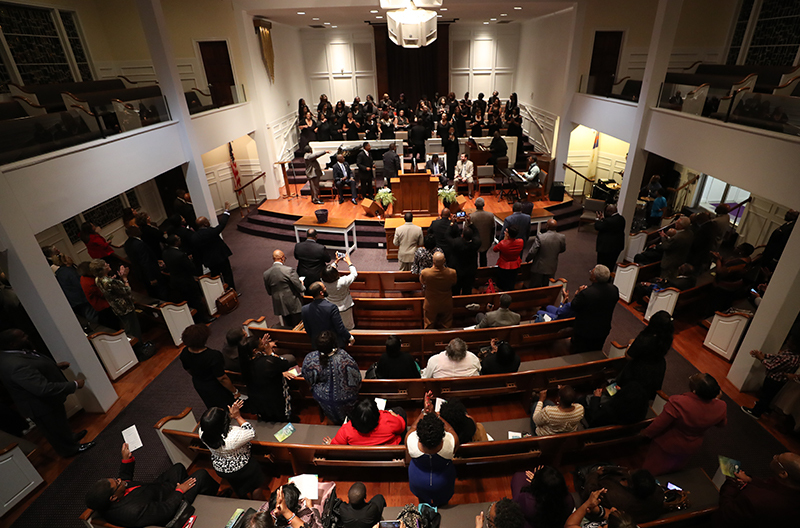 The African American Fellowship worship rally was a uniting time for people from different churches to come together in worship to the Lord. The vibrancy of worship and eagerness to learn from the Word of God were present, and the response to the Word was anything but lukewarm.